A multi-purpose herb which has various uses in India. It is also an essential part of alternate forms of medicines where it is used for preparing various medicines since it has ant-inflammatory, anti-septic, anti-bacterial and antimicrobial properties. 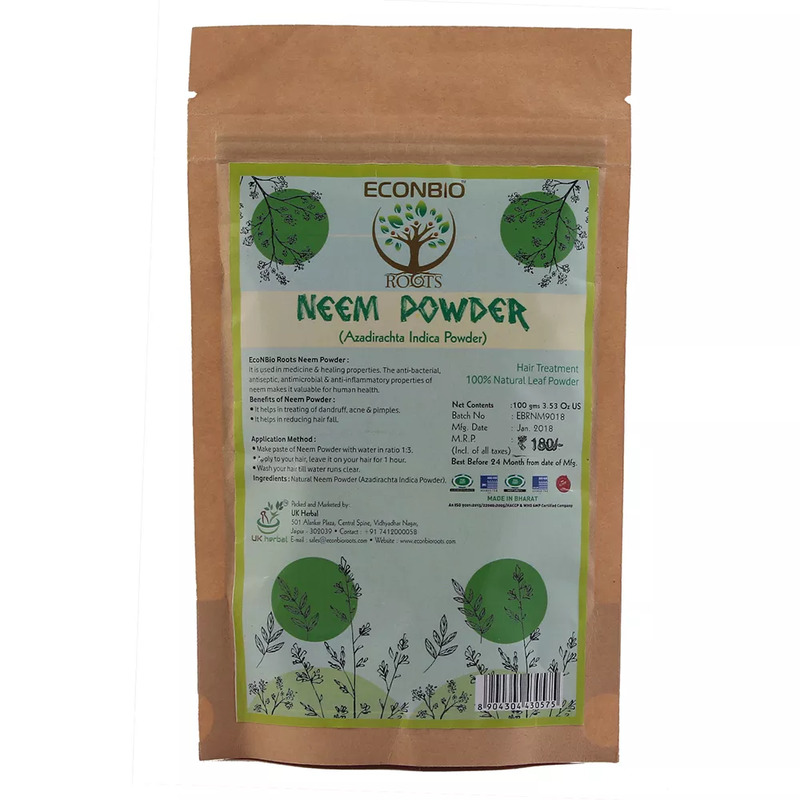 ECO & BIO ROOTS brings to you a range of fine quality natural and hygienically made neem powder out of neem leaves and provides it in a packaging of 100gms. It is increasingly used for treating skin ailments, acne, maintain oral health, keep diabetes in check, good for cardiovascular diseases, liver problems, stomach ailments, intestinal worms. When consumed regularly it builds up the immune system and is an excellent blood purifier. This powder can be used in multiple ways by either applying on the skin, hair or consuming orally to help cure various kinds of ailments since its goodness on use will be the same. 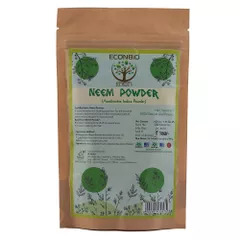 Make paste of Neem powder with in ratio 1:3. apply to your hair, leave it on your hair for 1 hour. Apply to your skin, leave it on your skin for 10-15 min. Wash your hair&skin till the water runs clear.